How can I increase the alcohol content of my beer? Did you ever see the movie Men in Black? It featured the wonderful Vincent D'Onofrio as an alien that loved sugar. That's basically the answer on how to increase the alcohol content of your beer. At the surface, that's a very easy thing to do but the reality that it's quite a nuanced thing. Like baking a cake, straying from the recipe can radically change the outcome of the cake, and doing that with sugar can produce some changes to your beer that you might not want. In the beer realm, the phrase' Alcohol By Volume' is used to measure alcohol content. As in that is, what is the percentage of 'alcohol by volume' of the total beer. Commonly shortened to ABV, the question becomes how do I raise the ABV of my beer by adding sugars? What can I add to my beer kit to get a higher ABV? Some brewers will use extra dry malt extract as their sugar source. As a rough guide, an extra pound or 1/2 kg of DME or LME on top of your recipe requirements will add an extra half percent to your beer. Doubling that will give you an extra whole percent. Using a malt extract will more than increase the overall body of the beer, produce a higher finishing gravity or offer a more malty finish. You might also experience a reduction in hop bitterness. Using additional sugars such as corn sugar (dextrose), table sugar, and brown sugar will all help to boost and increase the beer's ABV. These sugars do intend to make a beer taste drier and thin out the body and mouthfeel of the beer. You may also be able to taste more bitterness in any added hops. Maple syrup, golden syrup and lollies like jelly beans can also be used but they will all influence the taste of your beer. Of course, if you've ever tried an 8 per cent commercial beer such as King Fisher or Elephant, you may have noted how sweet most of those beers are. Using these sugars may also lighten the color of your beer. Honey is a fine product to use to increase your alcohol content because it is very fermentable and yeasts just love feeding on it. It will also add a hint of flavor and complexity to the beer. The volume needed is a fair bit - 1 pound of honey will give about a 0.7 percent increase. It's my personal experience that honey can really dry out the taste of a beer so I would consider using honey more for flavor effect. It's a widely recommended practice that no more than 1/3 of your beer's ABV level should be a result of non-malt adjuncts or fermentable sugars. That is to say, don't over saturate your beer with extra sugars! As an example, if you are making a 6 percent ABV beer then you shouldn't add products that will contribute 2 percent of that total. 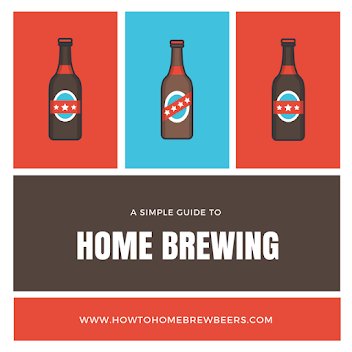 If you are bumping up the additionals, you might also wish to boost up the other elements of your recipe to help balance the beer and keep it more like your intended brew. A big caution is that the more sugar you put in, the more pressure that you place on the yeast. The more alcohol that is produced, the slower the rate at which fermentation occurs. You may also feel your beer tastes somewhat sweater. But that could be in your head, I have no idea what goes on in there. A keen player will consider adding more yeast nutrients to the wort which may give the original yeast a new lease of life and extend fermentation. Too much alcohol may actually end up killing off the yeast. Some yeasts do handle the presence of alcohol better than others so shop around for those advertised as being tough. You could also add a second round of yeast to your brew if you were keen. You might want to add the kind of yeast that has a higher alcohol tolerance but the standard Safale yeast will do the trick. In terms of your beer preparation before you begin primary fermentation, exposing your wort to an appropriate amount of oxygen will help - make sure everything gets a good stir. So, what you've got to think about to raise the alcohol content is that there are a lot of variables that can help you but at the same time, they may also hinder your beer. If we were to put our 'Science Officer' hat on we would suggest you only make one change at a time from your normal routine and measure your results and make a judgment accordingly. For example - you've made your standard ale brew often enough and you know from using your hydrometer that the alcohol content is usually say 4.5 ABV. You may wish to add an extra half KG of DME to your brew and see if that raises the ABV to 5 ABV. If that's the case, you win! Knowing that method works, you could continually make changes in increments to get that ABV to 5.5 or even higher. Just remember, the more sugars you put in, the great the chance of hindering the yeast, at which point you would need to consider yeast-based modifications to your recipe and practices. Adding extra DME , sugar or produce like honey and maple syrup. Using a yeast that can handle a high alcohol content. Make sure the wort gets invigorated with oxygen before primary fermentation. Keep good temperature control, don't allow wild fluctuations. Consider adding a yeast nutrient to help the yeast reach its full potential. Aerate the wort just prior to pitching. Most importantly, remember that brewing is an art and a science and one brews beer for love of beer and not to get consistently hammered on 8 percent haymakers. Image credit to Martin Garrido via Creative Commons Licence. We don't know if Martin likes the idea of a Mortal Engines movie but we sure do!